65/35 poly/cotton ‘lite twill fabric, Cool Vent back and underarm panels, contrast topstitching, short-sleeve, side seam slits, a branded top snap and cloth-covered buttons with left chest and thermometer pockets. 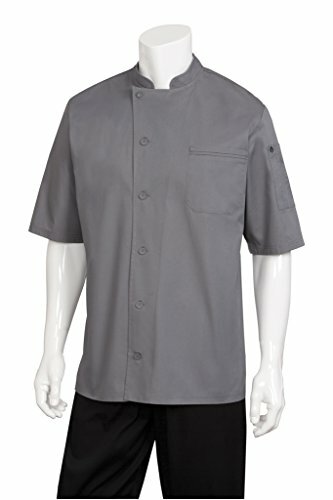 View More In Chefs' Clothing. If you have any questions about this product by Chef Works, contact us by completing and submitting the form below. If you are looking for a specif part number, please include it with your message.